In the morning your personal driver will pick you up at your hotel in Punta Cana, Bavaro, Macao or Uvero Alto. 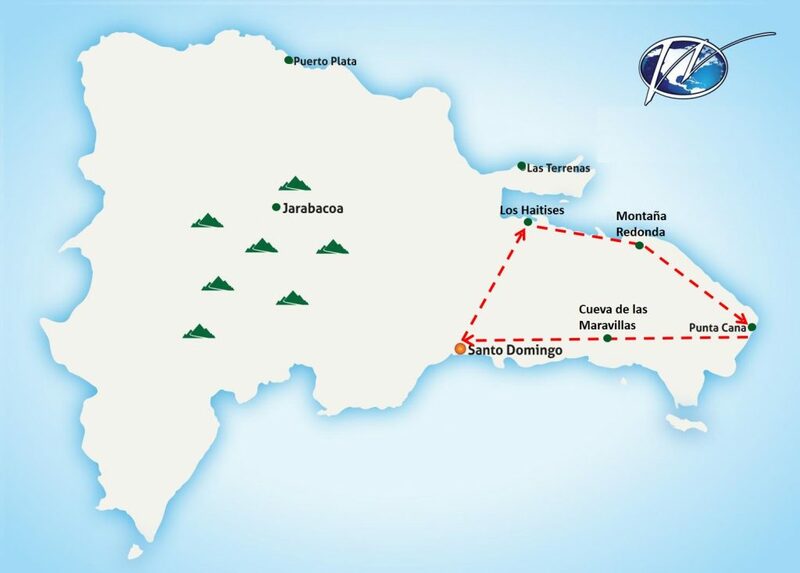 On your way to Santo Domingo which is an easy and comfortable 2.5 hours ride, you will make a stop at the fascinating cave structure, “La Cueva de las Maravillas”. This natural cave is 35 meters below ground and offers fascinating views of stalagmites and stalactites in all sizes and dazzling colors. An underground river flows through the structure providing natural “music” during the subterranean guided walk. After this visit, you will continue your journey towards the capital of Santo Domingo, where you will be dropped off at the office of Dominican Expert for your personal welcome briefing with your travel expert. While you enjoy a tropical welcome drink we will give you some important information about the next days and all the insider information you need to have a truly authentic trip through the Dominican Republic. You will also receive a special Dominican Expert Welcome-Kit with important travel gadgets. After check-in at your hotel directly in the Colonial Zone of Santo Domingo and some free time for lunch, your guide will welcome you for your private walking tour. The capital of the Dominican Republic combines the modern advantages of an emerging economy with the historic center of the city “La Zona Colonial” making this a very special place. During this 2.5-hour guided walking tour you will follow Columbus’ footsteps and see (among other things) the oldest cathedral of the New World, castles, ruins and the residency of Columbus’s son, Don Diego. 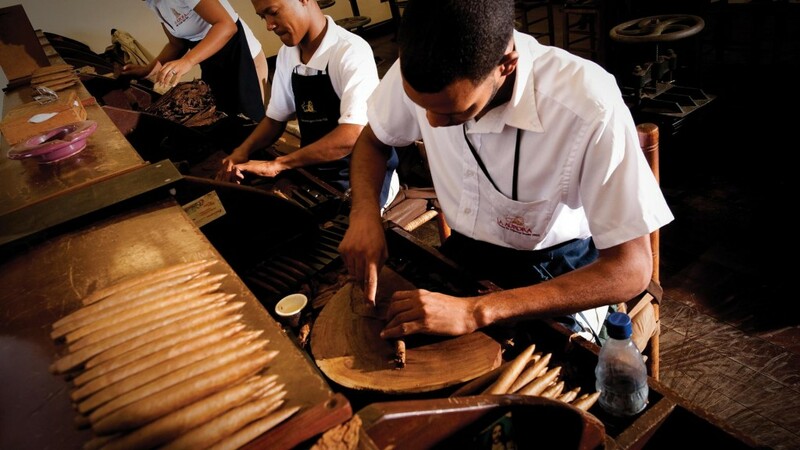 You will also visit a cigar manufacturer, where you will see the production of the popular Dominican cigars. 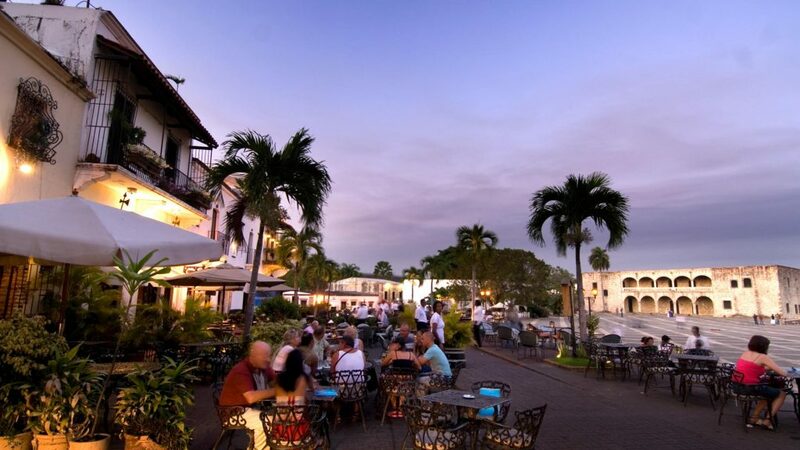 At night, you can head out to explore the vibrant nightlife of the Zona Colonial. Have a refreshing mojito at the countless bars, mingle with locals in the open-air parks or dance the night away to the hot Salsa, Bachata and Merengue sounds of Santo Domingo. Your travel expert can give you information on where to go. In the morning, after breakfast in your hotel, your transfer will take you to the midst of nature of the National Park Los Haitises. 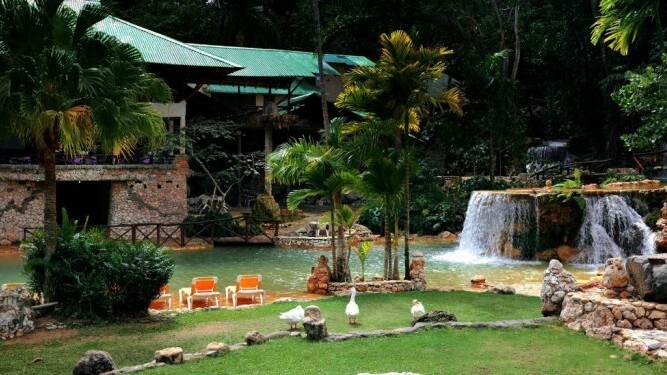 Your accommodation for this night is our stunningly beautiful and environmentally friendly eco-lodge, located inside the national park and surrounded by picturesque waterfalls, a lot of them directly on the property. After lunch you will go on a mostly flat 2- to 3-hour hike through the National Park. During the tour you will visit Caño Salado, explore different aspects of the nature in this area, such as the cloud forest, and get stunning photo opportunities. In the evening you can enjoy an a-la-carte dinner at the beautiful outside restaurant of the hotel while listening to the relaxing sound of the surrounding waterfalls. 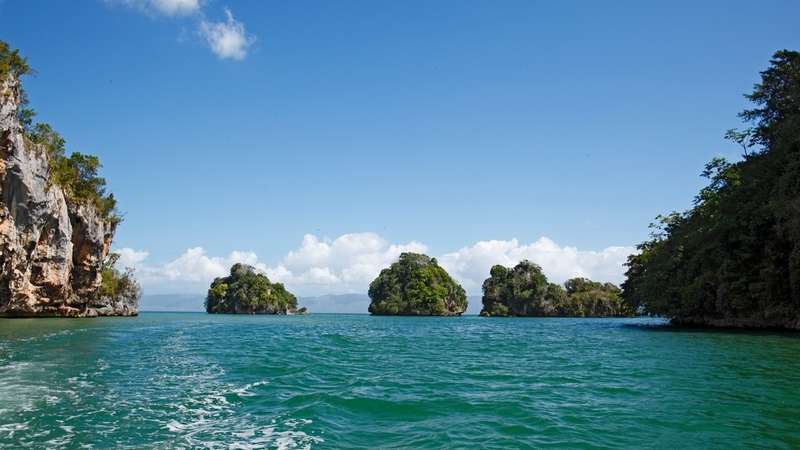 After breakfast, you will go on a boat excursion through the Mangle River towards the enormous lagoon “Bay of San Lorenzo”. This lagoon is simply breathtaking and unique in its natural splendor. Move slowly through the shallow water and observe how the rock island was formed over the centuries, providing a place where countless varieties of birds can be seen. In fact, there are more than 120 different documented species of birds, one of which is the “Cigua Palmera” (Palmchat), the Dominican Republic’s National Bird. You definitely will see several of those birds during your tour. Furthermore you will also explore two different caves, where you will see rock paintings from the Taino inhabitants hundreds of years ago. 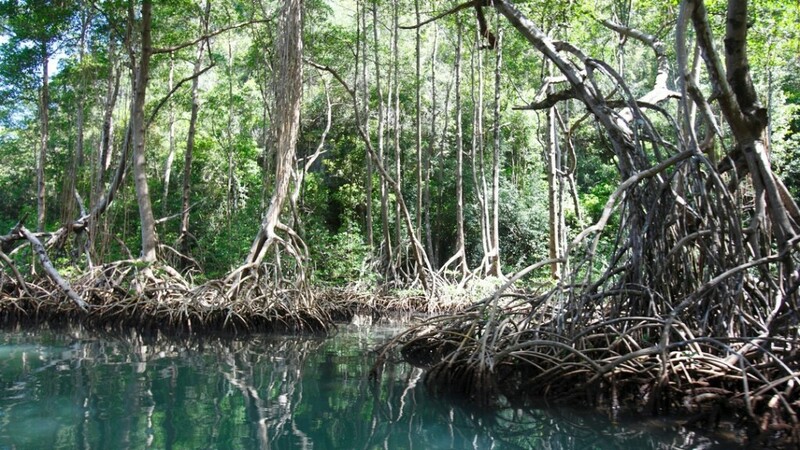 On the way back you will pass the impressive mangrove system of the national park, which is a protected habitat for countless species. After another typical Dominican buffet lunch at your stunning eco-lodge, you will be picked-up by your private driver and head back towards Punta Cana, on a road embedded between an impressive coastline and the rolling hills of the Cordillera Oriental. On your way you will make a stop at Montaña Redonda, an impressive and unique hill, from where you have a 360° panorama and can make absolutely amazing photo shots, thanks to its extra-large hanging swings and the incredible view from the mountain top. You can either hike up on a strenuous 30-45 minute climb or take one of the safari trucks available at the trailhead. After this last adventure your driver will bring you back to your hotel in Punta Cana, where you can review all those unique memories you made during the last 3 days.